ESPN’s Steve Phillips recently wrote an article about how the Reds could build a new Big Red Machine. While I appreciate his efforts, his article consisted of simply shifting around the MLB roster to create a more talented team. However, in this day and age, building a sustainable dynasty will by and large be accomplished through decisions that do not involve the make-up of the 25-man roster. There is so much that goes on below the surface of an MLB team, that the 25 man MLB roster is really just the tip of the iceberg. The substance is under the surface and not easily seen. 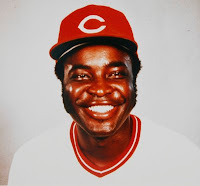 While I certainly didn't agree with Phillips' take on rebuilding the Reds, I do enjoy the topic, so I thought I'd take on the task of rebuilding the Big Red Machine myself. Let's see if I can put together a slightly more insightful plan than the esteemed Mr. Phillips. Lessons Gleaned from the MLB "Cold War"
I recently read an article about the Yankees and Red Sox and how they were running their ball clubs. Suffice it to say, I was pretty well blown away. The Yankees and Red Sox like to talk about themselves as “Nations” for marketing purposes. The new push for the “Red Sox Nation” and the Yankees contention that they are essentially America’s Team” are examples of how they want their organizations to be viewed by the public. However, a closer look reveals that this is NOT how they view their OWN organizations. The front offices of the Yankees and Red Sox do not view their teams as nations, but rather as Multi-National Corporations. These two organizations view themselves as Global Brands and they are running their business in that spirit. Judging by the strategic moves they have undertaken to position themselves in the market, these two teams are playing for keeps. If other teams want to remain competitive on the field, then they’ll have to step up to the plate off the field. In that spirit, let’s look at how we can begin to build a new Big Red Machine in a few "easy" steps. Step 1: Establish a Team Owned Regional Sports Network, which is Essential to Build the Brand and Increase the Revenue Stream. A significant portion of a team’s revenue is generated by its local television contracts. In the usual scenario, a team will sell the broadcast rights to its games to a cable channel, who will then have the sole right to broadcast the games to the local public. The cable channel will then sell advertising during the games to recoup their investment. Under this scenario, the revenue garnered by the team from selling the broadcast rights is subject to revenue sharing. So, if the team sells the rights for $50M, then a portion of that is paid to MLB where it is pooled together and divided out into equal shares for distribution to all 30 MLB teams. That way, all teams benefit to a certain extent from the Yankees massive local television revenue. While this provision has had a significant impact on the small market teams, it has also had some ancillary effects. Like any business, the BoSox and Yanks are not fond of having to give up some of their revenue to their competitors. Accordingly, they are now constantly searching for new revenue streams that are not subject to the revenue sharing provisions of MLB. However, some teams have found a new way to increase revenue from local broadcasts without a corresponding increase in revenue sharing. These teams have now begun to buy and run their own regional sports networks, which generate additional revenue for the team that should outpace the additional costs that come with it. Nine different teams have gone this route, including the Yankees (32% of YES), Mets (66% of SNY), Red Sox (80% of NESN), Orioles (88% of MASN), Indians (100% of SportsTime Ohio), Cubs (25% of Comcast SportsTime Chicago), White Sox (15% of Comcast SportsTime Chicago), Nationals (12% of MASN), and Giants (25% of FSN Bay Area). For MLB financial purposes, these broadcast companies are treated as separate entities from the team. As such, the team still nominally sells the broadcast rights to its broadcast company and the revenue earned from the sale of those rights is still subject to revenue sharing. However, all other revenue generated by the team owned cable channel is NOT subject to revenue sharing. Accordingly, instead of the cable channel selling advertising during the games, the team now sells advertising time during the game and all revenue generated from advertising sales is kept free and clear of revenue sharing. In addition, the team could also sell advertising during non-game programming, which is additional revenue garnered from owning the network. In addition to these immediate revenue benefits, the team would also benefit from the ability to build the Cincinnati Reds brand. If the team owns the channel, then they are free to create 24 hour a day Reds programming. Televise old Big Red Machine games, interview current players, show the ballpark and the surrounding communities, develop kids programming, showing instructional programs that teach the fundamentals, etc. The possibilities seem endless. It’s difficult to imagine a better tool for building fan loyalty and bringing in new fans than a 24-hour a day Reds channel. By creating an outlet solely for the Reds, the team could really ignite the passion of the fan base and increase interest in the organization, both of which would only help with ticket sales and ratings for telecasts. While the difference in population means that the Reds television network would never be as successful financially as the YES network, there would still seem to be a real opportunity to increase the revenue flow and create a stronger financial foundation on which to build the baseball team. In addition, the Reds could strengthen loyalty among existing fans and tap into that segment of the market consisting of non-fans. 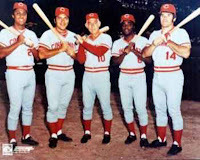 Starting their own network would likely increase revenue to the organization and help the Reds develop the team brand. Despite all the talk about the curse, the Red Sox have really only been cursed by mismanagement over the years. However, that's all changed, as the Red Sox now have very savvy management in place, who have built a foundation for the organization that is as solid as the Rock of Gibraltar. They are very sound financially and they use their solid financial position to acquire a consistent flow of revenue to support the MLB roster. They can readily convert their substantial revenue stream into assets to help them win at the MLB level. As it stands, they have waves of talent in the minors just waiting to roll up to the majors. This enables them to better survive bad contracts, injuries, or the aging of the team, as they are always ready to bring up more youthful, cost controlled talent. Establishing a strong financial foundation is a big key in building a sustainable dynasty, which is why the Reds should invest in their own television network. That would be a very strong first step towards improve their chances at having a consistent winner in Cincinnati. Nice post lark, this is exactly what i have been thinking the reds should do. I'm a bit surprised, though I probably shouldn't be, that the Reds were beaten to the punch by the Indians. Hopefully the Reds bring you on-board, as they need all the good minds they can get. The current brain-trust may be a bit short in the intellectual horsepower department.